You want the best lawn on the block—but stubborn lawn weeds always seem to spoil your plan. You can spend an afternoon plucking weeds out of your grass, or digging out deep-rooted crabgrass, but the time and energy you invest probably isn’t paying off like you expect. You may have even hired a lawn care professional to treat your lawn for weeds and feel frustrated that you’re still dealing with the problem. You’re not alone. Invasive lawn weeds in Texas are a given, but you can get rid of weeds in your lawn and achieve the beautiful, healthy grass you deserve. There are specific lawn conditions, common lawn care mistakes, and errors with using products that can sabotage your efforts to control weeds. Once you understand the reasons why you are struggling with invasive lawn weeds in Texas, you can take steps to manage them. Also, you’ll know what an experienced lawn care pro should be doing to deliver results. You will be in a better position to take control of invasive weeds or hire the right expert to do the job. A lawn that is too thin is an open invitation for weeds. Some weeds can produce thousands of seeds per plant, which have the potential to be dispersed all over your lawn. When those seeds land in lawn areas that are thinning or bare, they fill in where the grass isn’t growing. On the other hand, a thick and healthy lawn will crowd out weeds, giving them little room to germinate and grow. Basically, healthy grass is competition for weeds. Here’s why: Weeds simply don’t need much to grow. They thrive in pavement cracks and sprout next to hot, dry concrete. If your grass is thick, healthy and mowed at the correct height, soil temperatures stay insulated which can prevent weeds from germinating as quickly as they would in a thinning turf area with higher soil temperatures. Maintaining a vigorous lawn in the winter is tricky because common Texas grasses go dormant. Bermudagrass, Zoysia grass and St. Augustine grass will natural thin back some during the off-season. That’s why a comprehensive lawn care program that includes preventive and curative weed control is so important. If you take a break from weed control in late fall, winter and early spring, your lawn might not have the resiliency and vigor to help prevent invasive weed growth. Growing a thick, healthy lawn is a year-round effort. Lawn care professionals use commercial weed control products that are generally not for sale at big box stores or retail garden centers because they are designed to be applied by a trained lawn care technician. The products must be mixed properly, and applied in a specific manner. 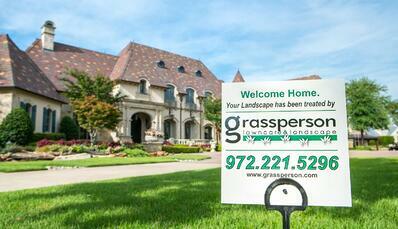 This is best done by a pro who is licensed and has experience treating invasive lawn weeds in Texas. Accurate application of any lawn product is important, whether you’re treating weeds yourself or hiring a pro. It’s easy to burn a lawn by putting down too much product, or to use the wrong weed control for your grass. On the other hand, you can also waste time, money and product by not applying enough of the material. You won’t get the results you want, and you’ll have spent hours and dollars on product that will not get rid of weeds in your lawn. The bottom line is, a lawn care professional that is trained to apply commercial-grade weed control products will assure that the products are applied safely, at the correct rate and in the proper conditions. A lot of people don’t worry about weeds until they see them. However, preventive treatments, referred to as pre-emergent applications, can be valuable and reduce many weeds. 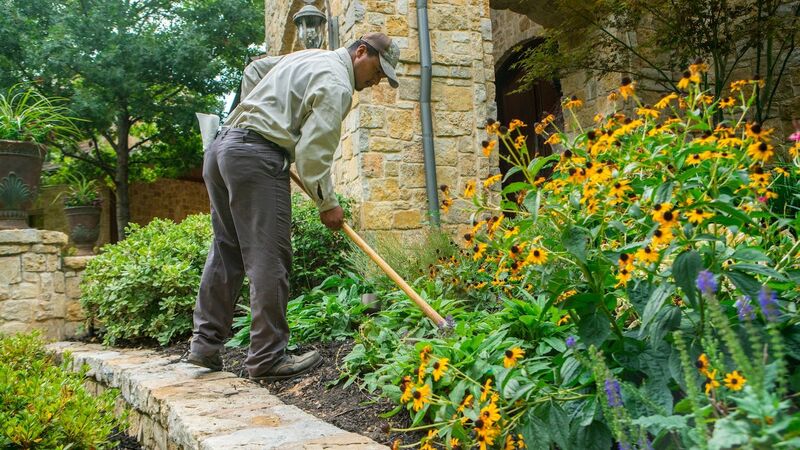 Pre-emergent weed control helps prevent weeds from reaching the soil line, and it’s a proactive way to manage common Texas lawn weeds. 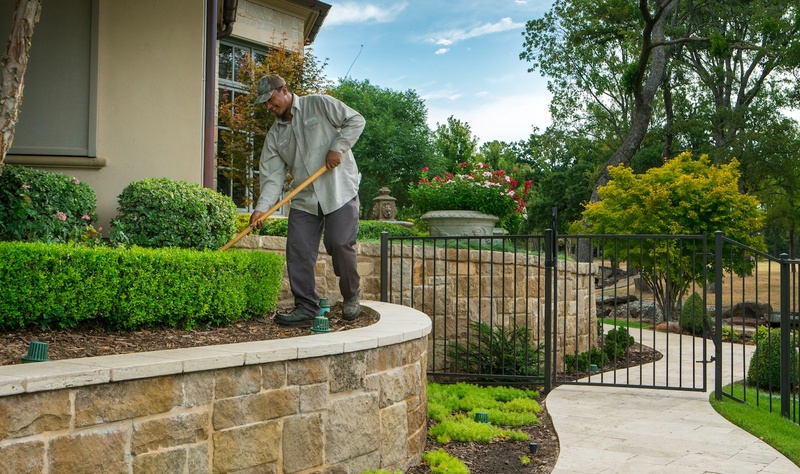 In North Texas, we advise a comprehensive lawn care program that includes several pre-emergent applications: one in late fall, another in late winter, followed by an early-spring application. Keep in mind, pre-emergent is not a stand-alone solution for minimizing weeds in your lawn. You should combine these with curative “post-emergent” applications as part of a complete lawn care program. You can apply quality weed control at the correct rate on your lawn, but the results also depend on properly timing when you mow and water your grass. First, let’s address irrigation. Post-emergent liquid weed control products do not need to be watered in, and avoiding irrigation is best for a couple of hours following the application. However, liquid pre-emergent weed control applications should be watered in within 23-48 hours. Granular weed control products do need to be watered in so they can soak into the soil. As for mowing, with any weed liquid control application, you should avoid cutting the lawn for at least 24 hours. 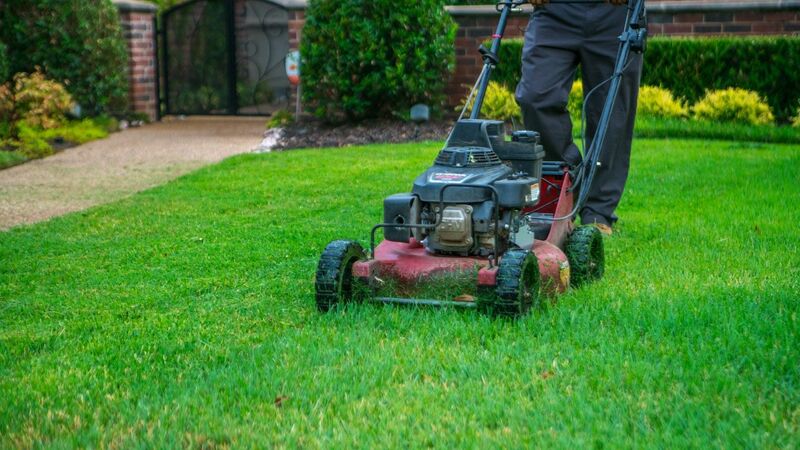 Mowing too soon after that kind of lawn care treatment can reduce the impact of the product because a substantial portion of the sprayed weeds are chopped off. The treatment should stay on weeds for 24 hours before mowing to get the best possible results. We talked about the importance of timing with mowing and irrigating your lawn in order to optimize the efficacy of weed control products. But adhering to mowing and watering best practices is just as important. As we said, a healthy, vigorous lawn will help prevent weeds. These mowing and watering guidelines will help prevent invasive lawn weeds in Texas. Grass that is too short can struggle in hot, dry Texas weather. When turf is stressed, there’s a greater opportunity for weeds to move in. Grass helps insulate soil temperature, which is important because weeds thrive in hot soil while grass does not. Mowing height depends on the type of grass in your lawn. Bermudagrass should be mowed to 1.5 to 2.5 inches; St. Augustine grass, 2.5 to 3.5 inches; and Zoysia grass, 1.5 to 3 inches. When mowing, avoid taking off more than 1/3 of the grass blades in a single pass. If you let the lawn go too long in between mowings, you might need to mow the lawn more often to achieve the optimum height. 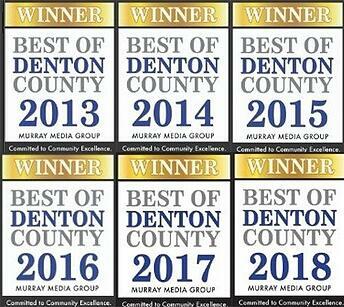 Hot, dry North Texas summers are hard on turf, and our sandy soil in Denton and Collin counties, TX does not hold water long. So, irrigating your lawn three to four days a week in summer is necessary to maintain thick, healthy grass. And remember, healthy grass is a natural way to prevent weeds from cropping up in your lawn. You need to water your lawn in the winter, too. Aim for one time per week. 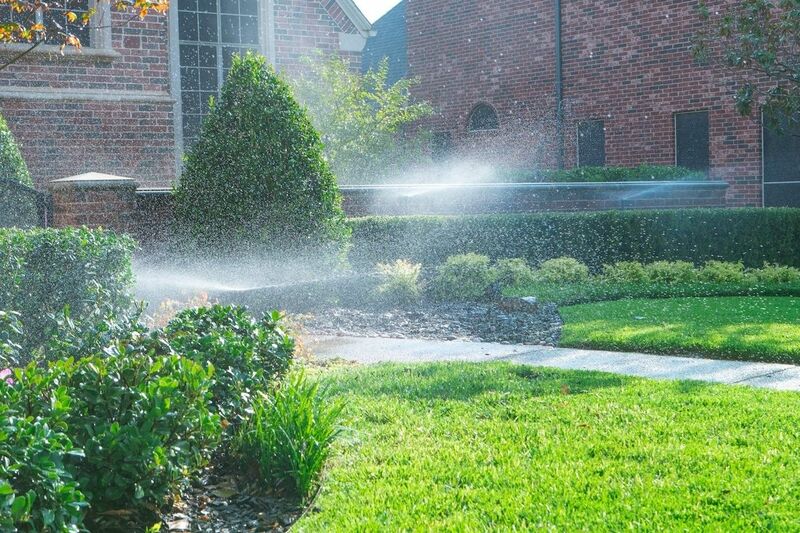 Irrigation helps prevent weeds because it gives turf the irrigation required to grow healthy and strong. 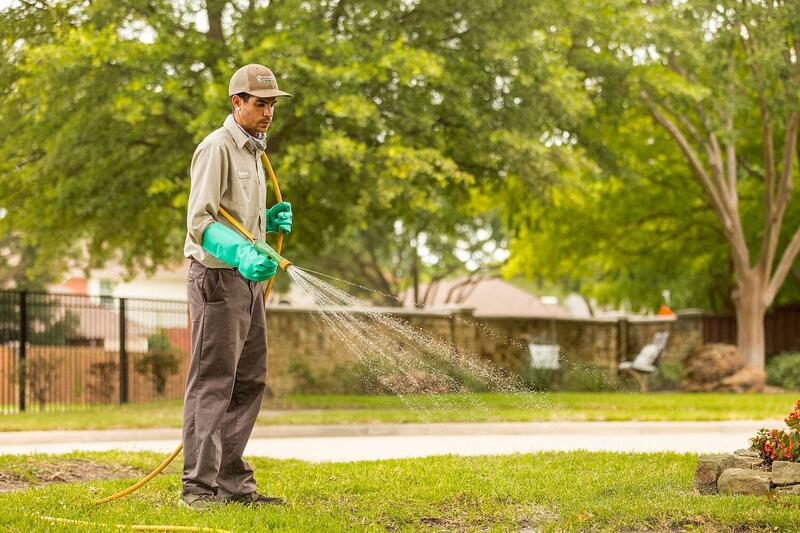 Vigorous turf helps choke out invasive lawn weeds in Texas. A consistent, complete lawn care program is essential for controlling invasive weeds. That includes pre-emergent and post-emergent weed control, and fertilization to promote healthy grass. It might be tempting to skip lawn care applications in the winter, or wait to treat weeds until summer when they really start to take over your lawn. But less is not more if you want to get rid of weeds in a lawn. A 7-step, year-round lawn care program will help keep the weeds out and the grass healthy. Tearing out your lawn is probably the last thing you want to do, but it might be the best way to get the lawn you deserve. 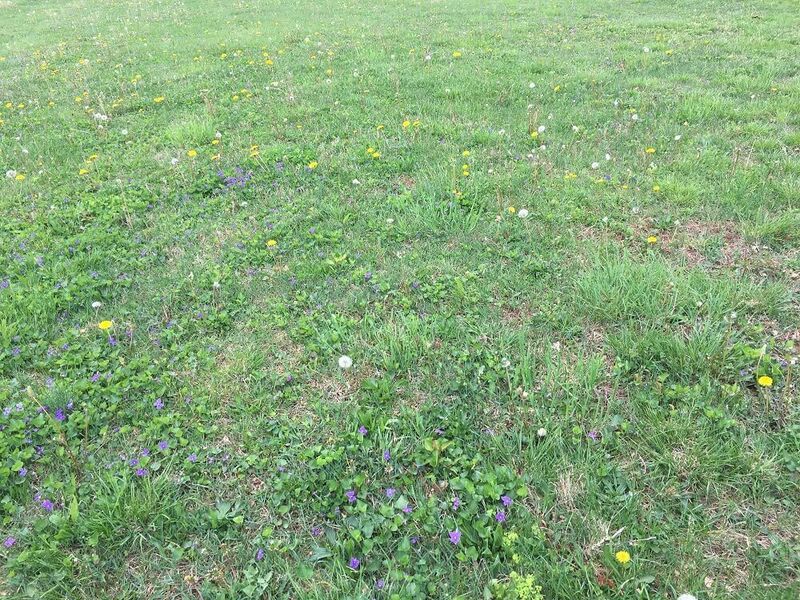 Here’s why: If your lawn is overtaken by weeds and you treat and remove them, you’ll be left with empty spots. Those areas should be renovated with healthy soil and fresh sod or seed so you can grow healthy turf and reduce the risk of weeds returning. 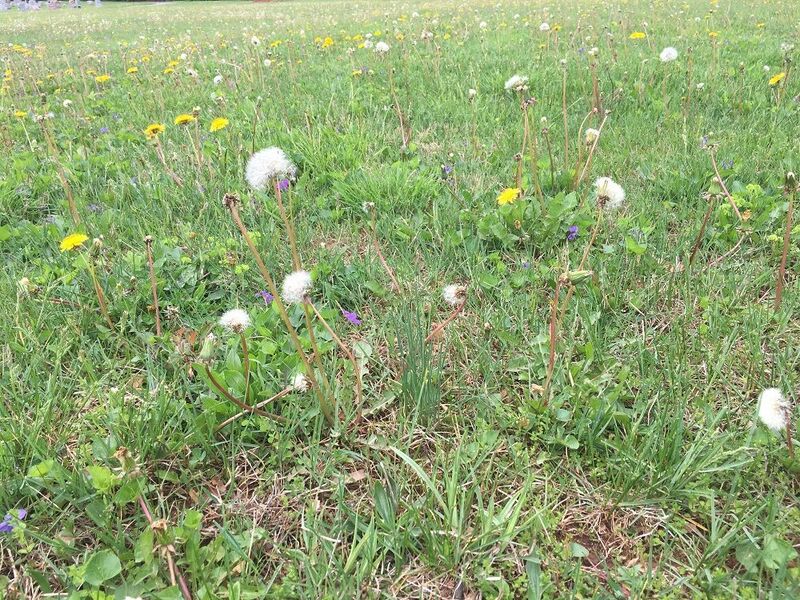 Remember, weeds move in on thin turf and bare areas of lawn where there’s no competition with turf for water and nutrients. If your lawn is suffering from invasive weeds and you want to get on a healthy track, you might need to replant areas where weeds were treated, or tear out the weed-infested lawn and start over so you aren’t fighting a losing battle. Keep in mind, you’re not giving up. You’re starting fresh. And, with a healthy lawn and a year-round lawn care regimen, you can minimize weed pressure in the future. Don’t let invasive weeds spoil your North Texas lawn. We know, preventing weeds is frustrating because they’re persistent, challenging to treat, and require constant attention. Whether you’re spending your own time dealing with weeds or spending money on a professional to do this, you might not be getting the results you want. The good news is, you can gain control over invasive lawn weeds without spending all of your spare time working in the yard. 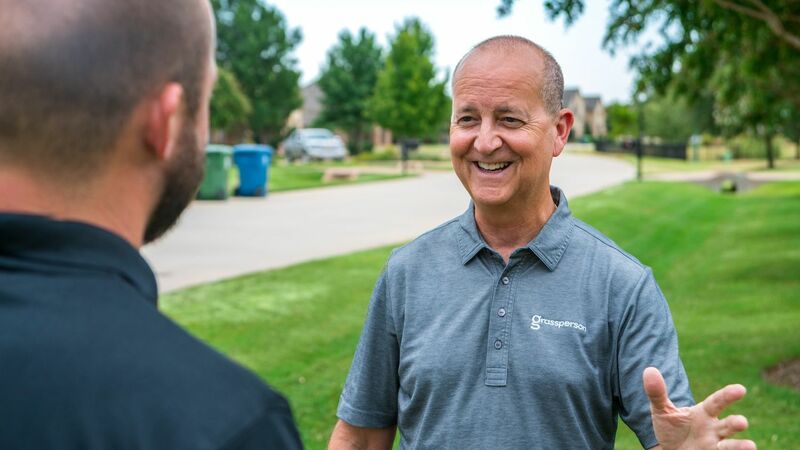 What you need is a reliable lawn care expert you can trust that employs a consistent, year-round lawn care program and proper lawn maintenance practices. 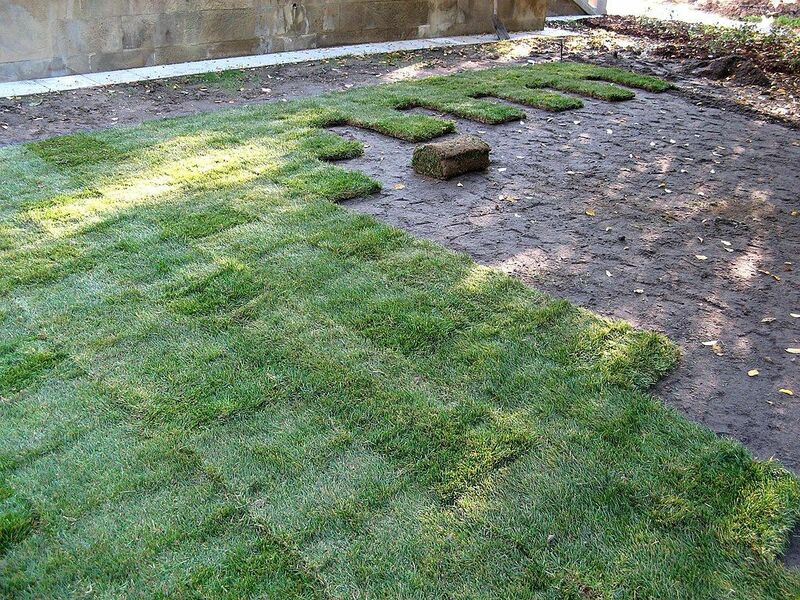 You seriously deserve the best lawn on the block. And, you don’t have to fight the battle to get rid of lawn weeds yourself. Get a free quote, get $25 off your first visit, and then enjoy the best lawn on the block!